As a young man, Annaud studied filmmaking and medieval history, and started his career making commercials, which made him rich, famous, and dissatisfied. His first film, Black and White in Color, is a story of French and German settlers in Africa, warring there solely because their homelands are at war in Europe. Co-written and directed by Annaud, it won the Oscar for Best Foreign Language Film in 1976. 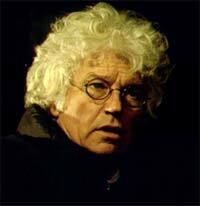 Annaud's other films include Quest for Fire, on primitive man's invetion; an adaptation of Umberto Eco's The Name of the Rose; The Bear, a wordless wilderness epic about an orphaned cub; and The Lover, an observation of teen sexuality. Then came Seven Years in Tibet, a meandering tale of alpinist Brad Pitt and the Dalai Lama, and Enemy at the Gates, said to be the most expensive European film ever made, which somehow managed to make the Battle of Stalingrad seem tedious. His 2004 film, Two Brothers, has echoes of The Bear, as it follows two tiger cubs, separated from their parents and from each other. The movie, though, ceaselessly beats the audience over the head with its capital-M Message about preserving the endangered wild tigers -- thirty of which were used in filming. Annaud's Wings of Courage, in 1995, was the first feature film made in Imax and 3D.